Genomics, Medicine, and Pseudoscience: Jurassic World fact check: can we clone dinosaurs? Jurassic World fact check: can we clone dinosaurs? One of this summer’s biggest hits was the movie Jurassic World, which earned a record $209 million on its opening weekend back in June. It's so popular that it’s still showing in theaters now, more than two months later. Like its predecessors, the fourth movie in the Jurassic Park series features a theme park filled with dinosaurs that were created by cloning dinosaur DNA. In the movie, the dino DNA was collected from mosquitos preserved in amber, which (in the fictional movie world) had sucked the blood of dinosaurs 65 million years ago. 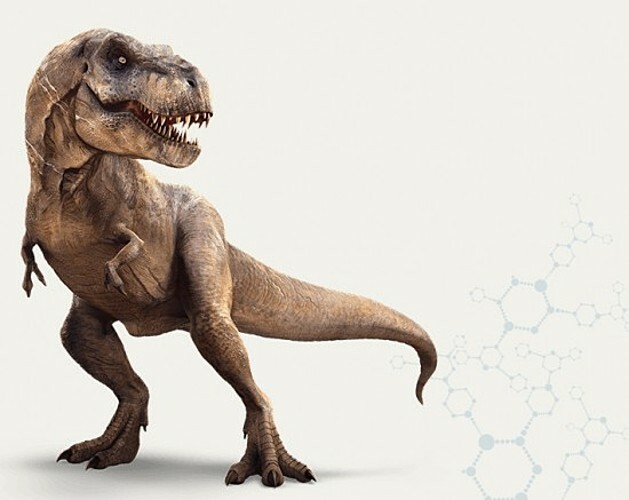 The success of the movie spurred YouGov.com to conduct a poll, asking Americans if they believed it was currently possible to create dinosaurs from DNA found in fossils. 28% said yes. It makes for a fun story, but is there any science behind it? Well, yes and no. Can we clone a living organism entirely from scratch, just from its DNA sequence alone? Yes! Not only can we do it, but it has already been done. Genome scientists Craig Venter and Hamilton Smith, both former colleagues of mine, achieved this at least twice, creating bacteria by synthesizing the necessary DNA and then “booting up” a new bacterial cell, which went on to replicate itself and grow into colonies of brand-new bacteria. Very impressive work, although bacterial genomes are quite small, only a few million nucleotides long. Moving up a step, just last year, Hopkins scientist Jef Boeke (who is now at NYU) and his team synthesized an entire yeast chromosome. Yeast are single-celled like bacteria, but they're eukaryotes, evolutionarily closer to humans and dinosaurs than bacteria. Eukaryotes keep their DNA sequestered inside a nucleus, which in turn makes them way harder to clone from scratch. Synthesis of the remaining yeast chromosomes is under way, and it’s entirely feasible that we’ll have artificial yeast in just a year or two. As of today, though, no one has even come close to synthesizing a multi-cellular creature like a dinosaur–or a chicken, or a frog, or a human. But in principal, it is possible to create a living animal just from its DNA, though it might take a few more decades to do it. The problem is, despite the compelling story in the movie, there is no dinosaur DNA left on the planet. None at all, despite what you might have read. Dinosaurs went extinct about 65 million years ago, mostly likely because of a massive asteroid impact in the Yucatan peninsula, and DNA simply doesn’t last that long. But wait, you might ask: what about all these stories about Neandertal DNA, or woolly mammoth DNA, or other ancient species? These studies are true and are very exciting. Scientists have reconstructed the genome of our Neanderal relatives from very old bones, around 30,000-40,000 years old. We can extract DNA from bones that old, although the DNA is badly degraded. I worked on an ancient DNA project myself, using an 11,000 year old mammoth thigh bone to reconstruct part of its genome. We were able to recover quite a lot of mammoth DNA from that bone. Other work on ancient samples has demonstrated that in the most extreme conditions, where the bones have been continuously frozen in the Greenland ice sheet, DNA may survive as long as 1 million years. However, dinosaurs lived in temperate climates where DNA degrades far more quickly, and virtually all dinosaur DNA was probably gone within a few thousand years after the dinosaurs became extinct. 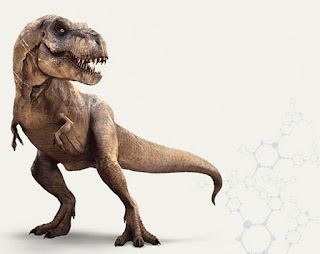 So alas, a mosquito that sucked the blood of a Tyrannosaurus rex, and then got swallowed and preserved in tree sap, would not yield any T. rex DNA for present-day cloning experiments. This doesn’t mean we’ll never have a Jurassic Park, but if we do, we’ll have to guess at what that dino DNA looked like, perhaps using the DNA of birds. Perhaps, though, we should focus on saving the species we have left, which we are rapidly wiping out, before worrying about reviving long-lost dinosaurs.